Antrim are hopeful their captain Kevin Niblock will be fit to face Fermanagh in the Ulster SFC on Sunday despite him suffering a bout of tonsillitis. Niblock has been under the weather since last weekend but the Saffrons management are optimistic that he will have recovered by the end of this week. 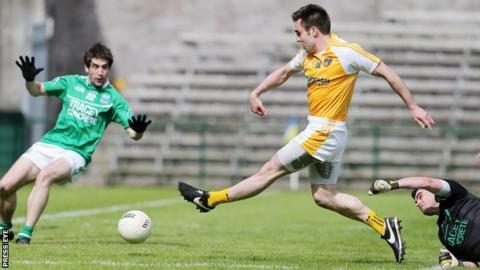 Antrim have no other fitness worries heading into the Brewster Park contest. Fermanagh are likely to be without Che Cullen after the full-back broke a thumb a couple of weeks ago. Captain Eoin Donnelly is expected to shake off a hamstring to be available the Enniskillen game.